– Shred the coconut flesh with a sharp fork. -Melt the butter in a pan. Add the sweet corn and gently heat until the sweet corn has got a lovely shine as absorbed the butter. -Put the sugar into the same pan. Remove the pan of the heat then mix well. -Transfer it on the serving bowl. Sprinkle with a pinch of salt and top with the shredded coconut flesh. – You can serve it warm or cold. 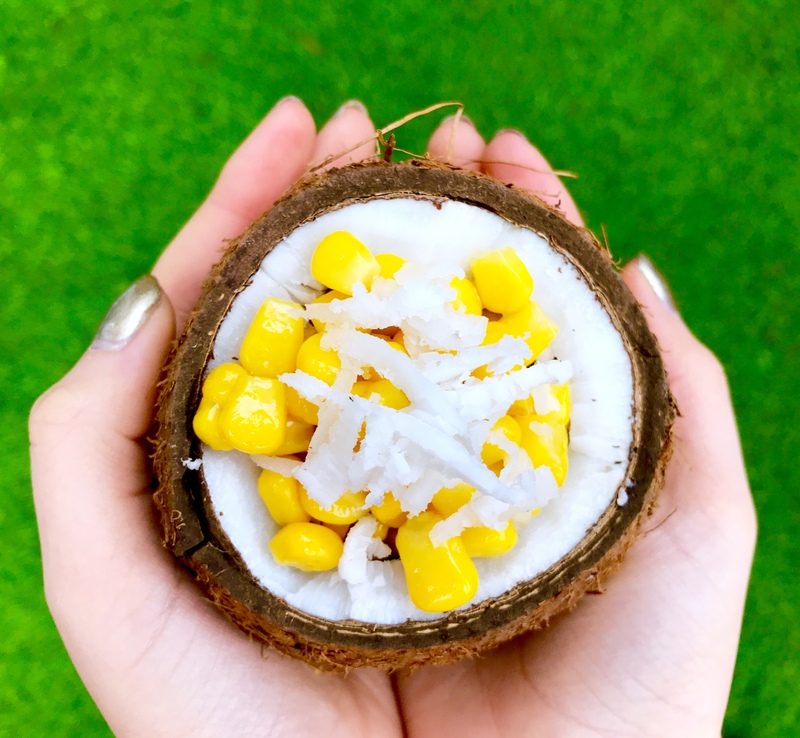 -Try to get the fresh cooked sweet corn and young coconut flesh if you can. 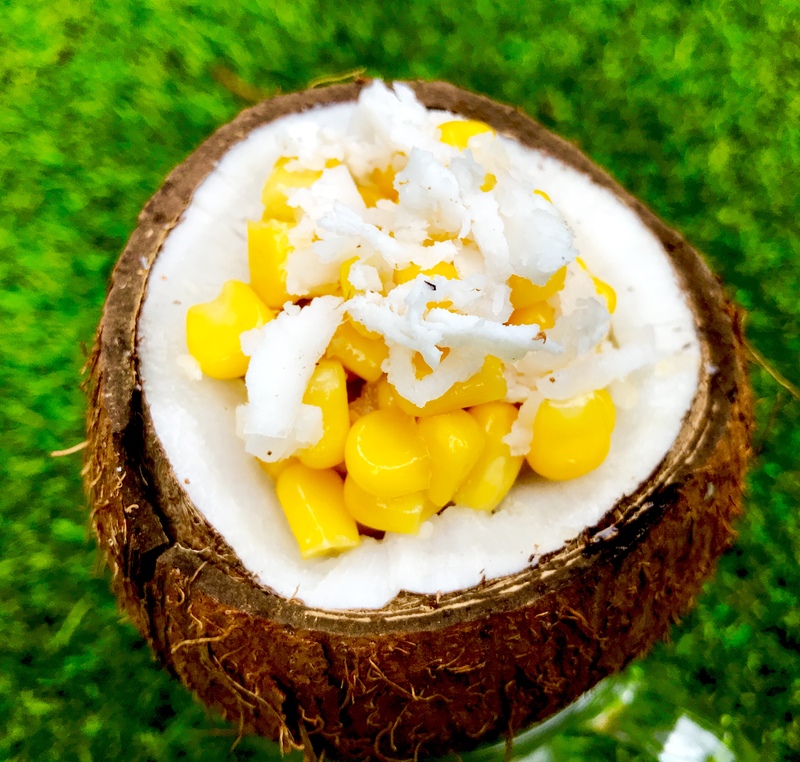 -You can also get the coconut grater from various online stores, if it is too tricky to grate the coconut flesh by the fork.